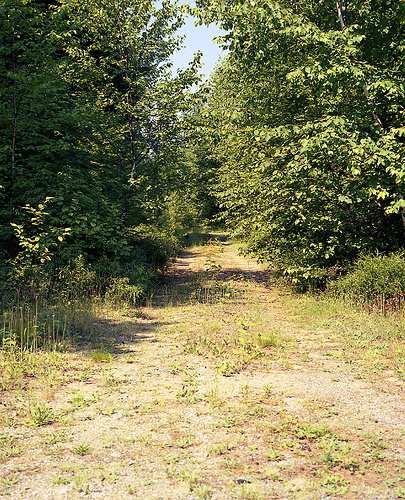 PLANS OF THIS CABIN ARE FOR SALE. 400 square feet of bliss! 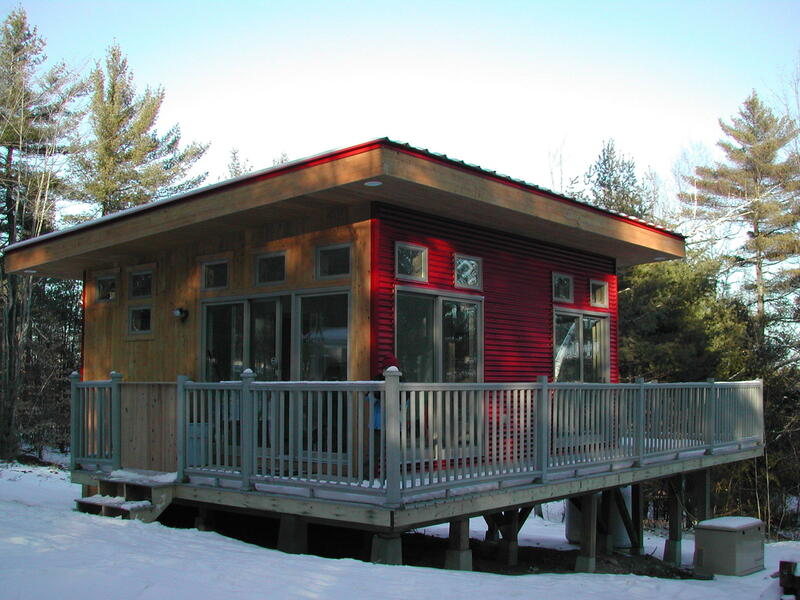 The 2005 "Maine Prototype" has two small bedrooms, a bathroom (with shower) and a kitchen/living room area. The house feels extremely comfortable and not at all "constricted"....The cabin can be built following different specifications. An open concept with no walls/rooms is also possible because the inside walls are not "weight bearing walls". 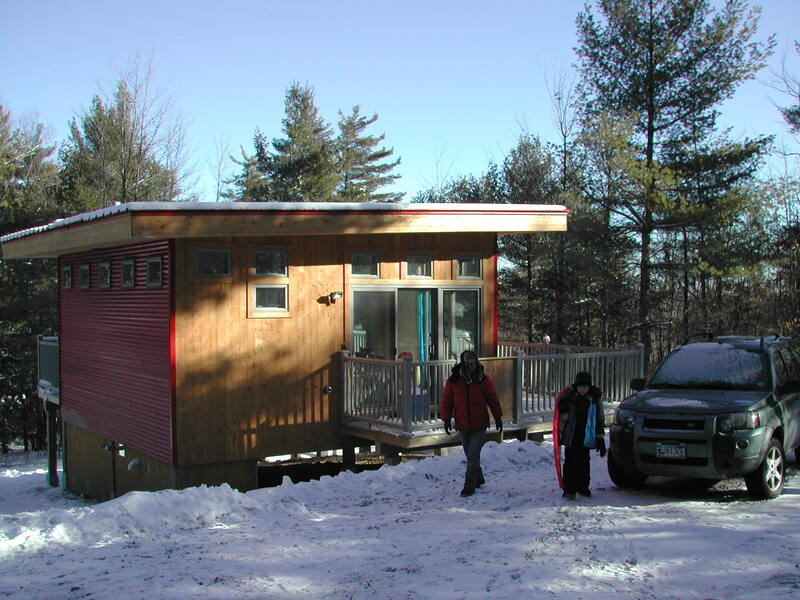 ">The "Cabin", designed by artists and built in 2005 by local craftsmen has a light footprint and uses passive solar design.